Nestle in Venezuela presents this face of drinking straws to communicate the saying, “Eres lo que tomas”, translated from Spanish to English as “You are what you drink”, or literally, “You are what you take”. 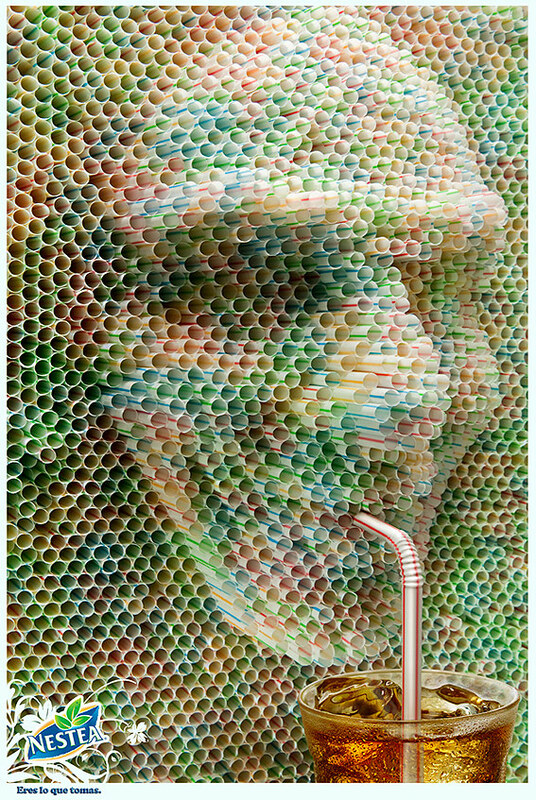 The Straws ad was developed at Publicis Venezuela by executive creative directors Douglas Rios and Eduardo Capuano, creative director/art director Demian Campos, creatives Jose Bajares, copywriter Manuel Fleitas, art director Prato Maru, account planner Julio Grande, account manager Dougmary Esquirajosa, with photographer Harold Gonzalez. The ad was commissioned by Ricardo Ochoa, Consumer Marketing Manager at Nestle Venezuela.